Need to know how to grow long hair fast? Were you so excited about your bold new bob until your partner popped the question the following week? 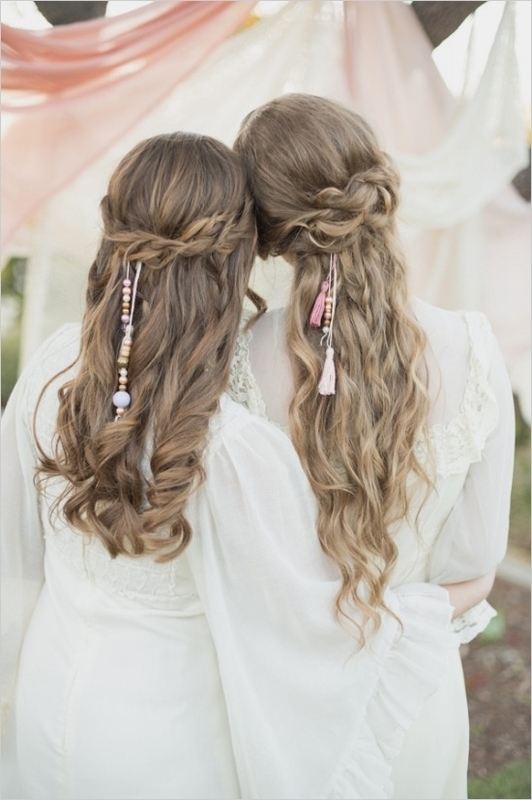 We’re all about #shorthairdontcare, but if you’ve been dreaming of long locks on your wedding day, you might be feeling a bit bummed. Don’t worry though, here’s a bunch of tips and tricks on how to grow long hair ASAP! Depending on the health of your hair, it usually grows from to 1 to 1.5 centimeters per month (but we’re going to try to double that number!) While the key ingredient to growing longer hair is undoubtedly time, here are nine tips to help you speed up that growth, no matter how many months you’ve got! 2. Don’t wash your hair everyday. Washing your hair with shampoo each day can reduce the natural oils, making your hair dryer and more susceptible to breakages. The key to growing longer hair is reducing breakage because they take time to heal, which can seriously slow down your growth. 3. Brush your hair less frequently. Or more gently! If you’re constantly ripping through tangles, you’re going to hurt your hair, making it less likely to grow longer in a healthy way. So if your drugstore brush or using isn’t cutting it, now is the time for an upgrade for a gentle brush! 4. Moisturize. Keep that hair moisturized to maintain healthy and strong locks. If you skip the shampoo in the shower, still reach for the conditioner and make sure to deep condition at least once a week. The key to growing long hair is keeping it moisturized! *Note: Throw out any of your hair products that contain silicone, sulfates, parabens, or alcohol (Eww!) Those are super bad and damaging for your hair! If you want to grow longer hair fast, stick to clean hair products! 5. Cool down your shower. If you want to grow longer hair, don’t wash your hair is scalding hot water (hot water is very drying.) Right before getting out of the shower, switch the temperature from warm to cold and dunk your head for a couple of seconds. The cool water will help lock in moisture and prevent damage to hair. 6. Skip the straightener. The intense heat and damaging motions of a straightener can make your locks brittle and dry. (Again, you gotta keep those locks moisturized if you want to grow longer hair!) 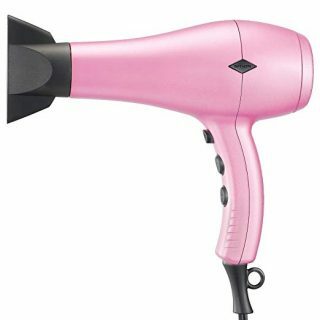 So stick to a low heat blow dryer, and opt for an ionic model. 7. Take vitamins. What you eat directly affects how fast your hair can grow long. Increasing your vitamin intake can not only help your health, but in turn helps you grow healthier hair as you may be missing some key vitamins in your diet. We recommend a supplement specifically made for hair and nails, usually high in Vitamin C, D, E, A and biotin. 8. Use a coconut oil mask. Looking for some intense moister to grow that hair faster? Applying coconut oil to your hair once or twice a week will help lock in moisture and keep those strands strong. I mean are we surprised? Coconut oil is amazing!!! 9. Eat the right types of food. Again, healthier hair comes from a healthier you. 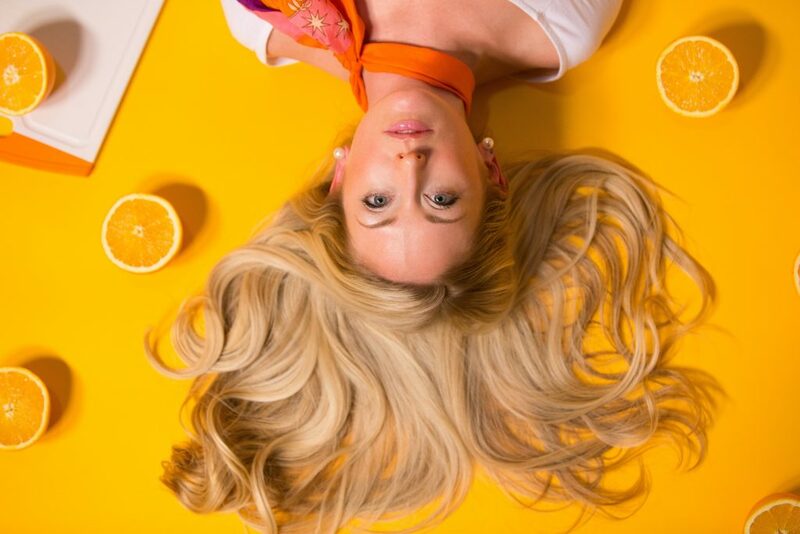 Don’t just depend on vitamins to help grow long hair. We recommend eating foods high in iron, protein, and biotin, like salmon, eggs, avocados, and nuts. The Best Products To Help You Grow Long Hair FAST! Now that you’ve got all the tips, you want to get all the products you need to get started! A little overwhelmed? 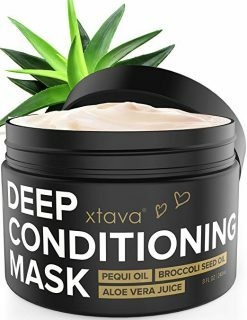 Don’t worry, we’ve compiled a list of the best hair products, hair masks, and vitamins to help you grow long hair faster! Remember how ripping through tangles seriously breaks your hair and slows down growth? Well this brush is as gentle as using your fingers! It’s IntelliFlex bristles use less force than any other detangling brush so you can detangle without pain or breakage–so seriously, throw out your old brushes and upgrade to the Wet Brush! When it comes to your shower routine, it is critical that your shampoo and conditioner are sulfate, paraben, alcohol, and silicone free! 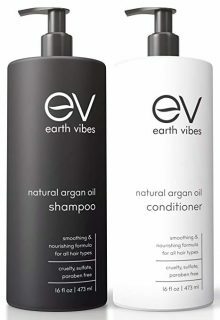 Clean shampoo and conditioner doesn’t have to be expensive, in fact you get two 16oz bottles for only $10 each! NITION ceramic coated air outlet grill is infused with Nano Silver, Aragan oil, and Tourmaline, keeping your hair protected during dry time! 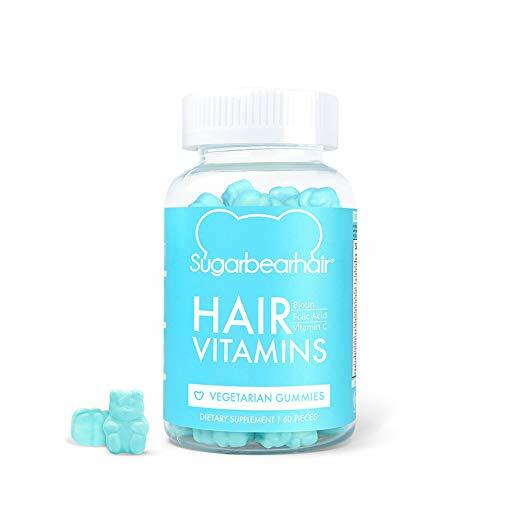 Nourish your hair from within with these adorable and cruelty free gummy bear hair vitamins.They contain Vitamin A, Vitamin C, Vitamin D, Vitamin E, Vitamin B-6, Folic Acid, Vitamin B-12, Biotin, Pantothenic Acid, Iodine, Zinc, Choline, and Inositol–essential vitamins to growing longer hair faster! As you know by now, moisturizing is key to growing long hair faster, but it is good to alternate between Coconut oil and a deep conditioner. 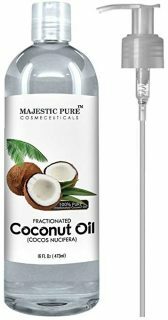 If you buy coconut oil in a jar, it is a little bit harder to apply onto the hair because it needs to melt, thats why this product is our favorite because it’s simple to use, non greasy, and easy to wash out!